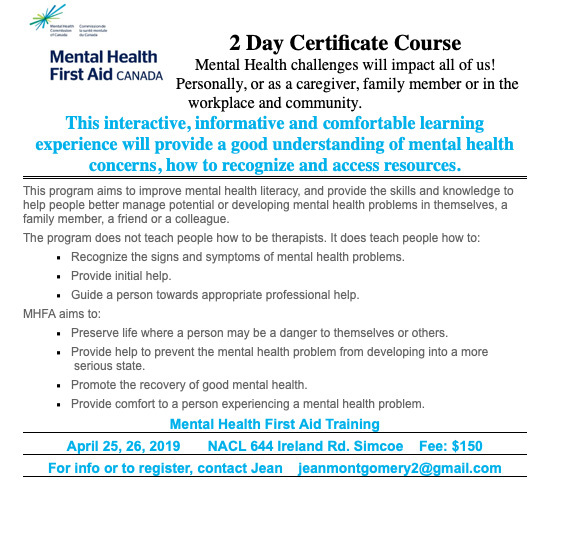 For anyone interested in attending this 2 day Certificate Course on Mental Health First Aid training. Please feel free to share. If you are interested in attending, please see contact details on the flyer.